The self-inflicted daily decline of humanity of the Gazans has reached another new low. What Could Possibly Still Be On the Table? We've provided some multiple choice answers for you to pick from. 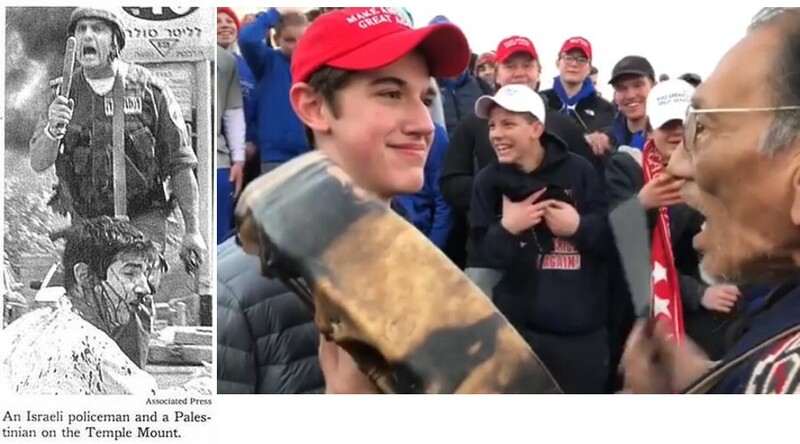 If the media didn't learn from Tuvia Grossman, why will it learn now from Covington Catholic High School? For stability, you can't go wrong with Mubarak. 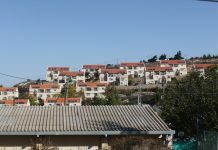 Netanyahu seems to have forgotten that he destroyed Amona. JoeSettler points out that most Gazans want to leave, and most Jews want to go back home to Gush Katif. How about a solution that actually resolves the conflict? 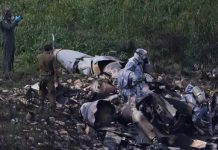 92 Redux: Is This the End of the Israeli Right, Or a New Beginning? President Rivlin's recent statements are only half right, and that's why he's completely wrong. I'm reminded of the INS Hanit that Hezbollah nearly sunk in 2006, because their missile-defense system was not activated. Israel might need to roll the proverbial dice again and go for new elections, because this atmosphere is simply too poisoned. The soldier asked to publicize to Am Yisrael that we are stronger than our enemies and that it is a miracle that he is alive. In a unique operation, IEC transfered 10 generators to hospitals in Gaza. JoeSettler says, if you want to save Jewish Jerusalem, let the Arabs go! Israel's political party conventions make the Knesset seem polite and tame. 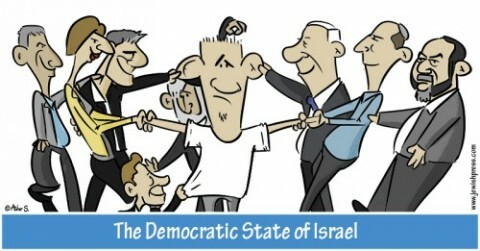 At the Likud Central Committee convention the other day, the vote for PM Netanyahu's proposal for the Likud and Yisrael Beiteinu to run together in the upcoming election was conducted by a "show of hands" popular vote. Not the best way to hold a vote. With a single question, we can determine if your opposition to the "Basic Law: Israel as the Nation State of the Jewish People" stems from unexamined populism or from an anti-Zionist ideology. The solution to the friction with Hareidim on El Al flights is so simple and obvious, it amazes me that it hasn't been implemented yet. I was wondering how Obama was going to sidestep his promise to attack Syria if they used chemical weapons. After Channel 10 is bailed out with our tax dollars, what will they do differently?